Another fifty-one pilot whales have died after becoming stranded on a beach on the Chatham Islands off New Zealand. The tragedy comes after more than 200 whales have died in separate incidents in New Zealand in the last five days. According to the BBC, between 80 and 90 whales were found to have become stranded in Hanson Bay on Thursday. 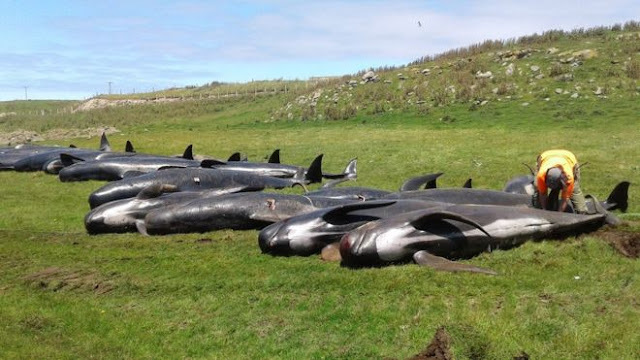 The deaths there come less than a week after 145 pilot whales were found dead on a remote beach in New Zealand's far south Stewart Island.